Executive functioning (EF), a set of cognitive processes associated with inhibitory control, working memory, and attention shifting, can make or break a student’s early days in the classroom. While the stress-inducing living conditions associated with poverty have been linked to delayed development of executive function, research in Psychological Science suggests that EF interventions can help children from lower socioeconomic backgrounds close the gap. A longitudinal study that followed 356 low-income children from preschool Head Start centers in Pennsylvania through third grade found that children with the lowest EF scores – that is, those who had lower verbal and nonverbal IQ scores, fewer attentional skills, and less social-emotional competence – benefitted most from intervention. Over the course of a year, children in the Research-Based Development Informed (REDI) intervention group participated in daily interactive readings, sound games, and lessons on emotional regulation. Annual reviews through third grade (when the children were 7 to 8 years old) revealed that children in the low EF intervention group continued to score below grade-level expectations on measures of reading fluency, mathematics skills and writing ability, said co-author Tyler Sasser, a psychiatrist at the Seattle Children’s Hospital in Washington. But they didn’t fall as far behind as they might have otherwise. “The REDI intervention did not ‘normalize’ the EF of the children in the lowest EF group, but they were better off in EF and 3rd grade academic functioning than children in the control condition,” Sasser said. This may be because practicing cognitive and social-emotional skills, such as considering a friend’s feelings or taking a deep breath before expressing yourself in anger, at a young age can help students gain “top-down control over bottom-up impulses,” said Sasser. 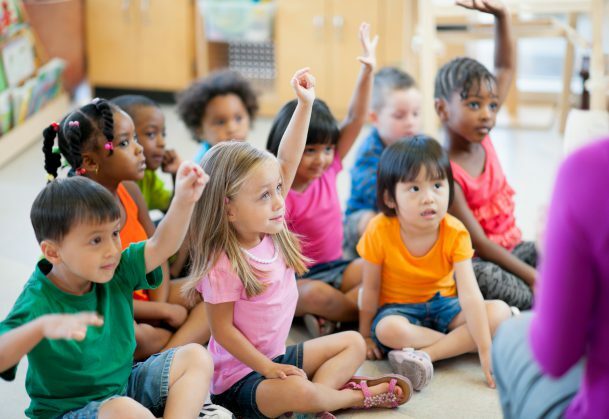 Interactive readings, which prompt children to engage with their teacher about why things are happening in a story, may also foster stronger language, literacy, and reasoning skills. “Repeating this practice over and over may strengthen a child’s EF skills,” he explained. High EF children also benefitted from the enriched classroom time, the authors wrote, whereas those with moderate EF experienced little effect. Further research is still needed to examine why REDI interventions seem to improve outcomes for low EF children but have comparatively little impact on their higher EF peers, Sasser said. It is also still unclear if the program’s effect was due to a single component of the REDI intervention or the combination of early literacy and social-emotion skills instruction. “I’m very interested in the degree to which directly targeting EF contributes to later academic and social-emotional functioning, which are really the most meaningful outcomes of all,” Sasser added. I think this project was missing the latest brain information. A core issue on developing the neurons for EF is to reduce anxiety with appropriate responses to children’s behaviors. Thank you for your comment. Reading about EF deficits among lower-income kids had me thinking that these were just the affects of anxiety. I’ll have to look for the research you mention. I had seen somewhere else that the best predictor of a child’s emotional regulation is the financial stability of his or her parents. Somehow I don’t foresee a big push toward more financial equality in the US’’s future.